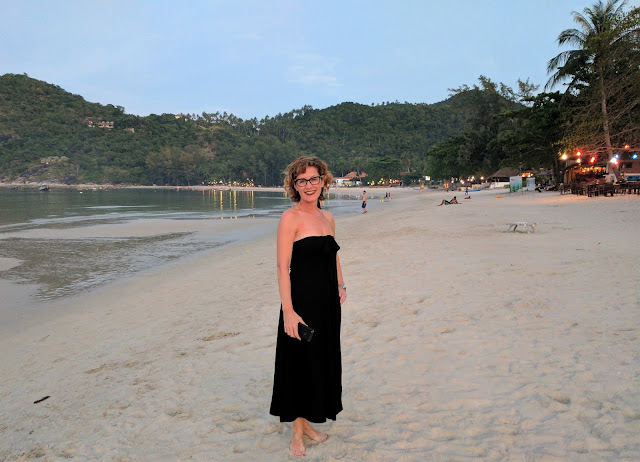 The Adventures of Scott & Caroline: Barefoot in Thailand: Footloose and Fancy-free! 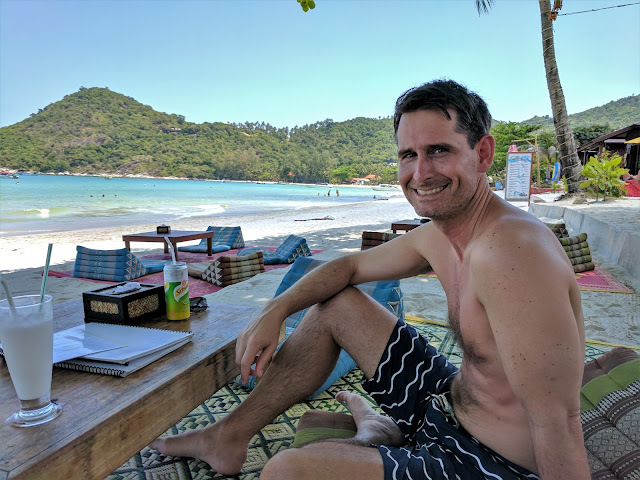 Admittedly, at first it took a bit of getting used to, leaving the hotel room sans shoes. But now I love being barefoot! All. Of. The. Time. 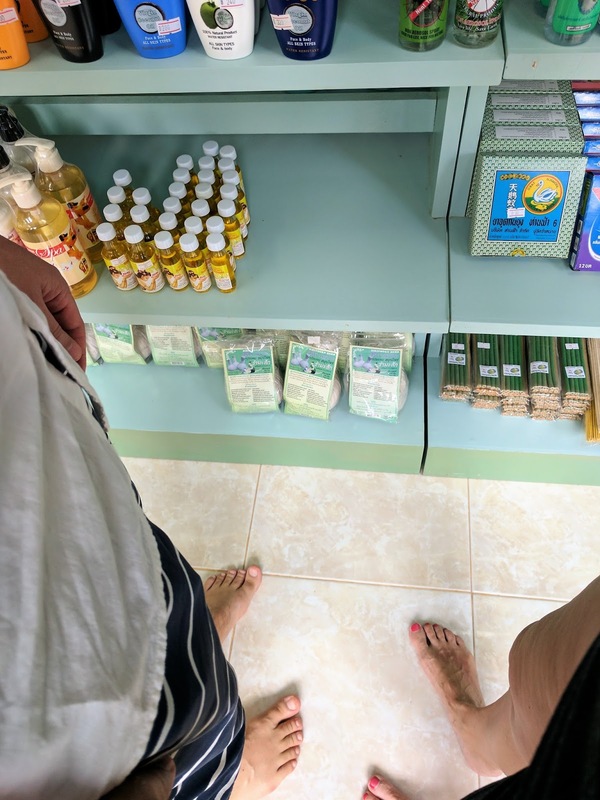 While it is somewhat less common in Bangkok, here on Ko Pha Ngan, in the southern islands of Thailand, local businesses frequently have a sign posted outside, kindly requesting patrons remove their shoes (which mostly just means slipping out of your flip-flops and leaving them wherever you happened to step out of them). Store employees may or may not be wearing shoes, although restaurant and bar workers do tend to wear flip-flops, probably for safety reasons, I would guess. 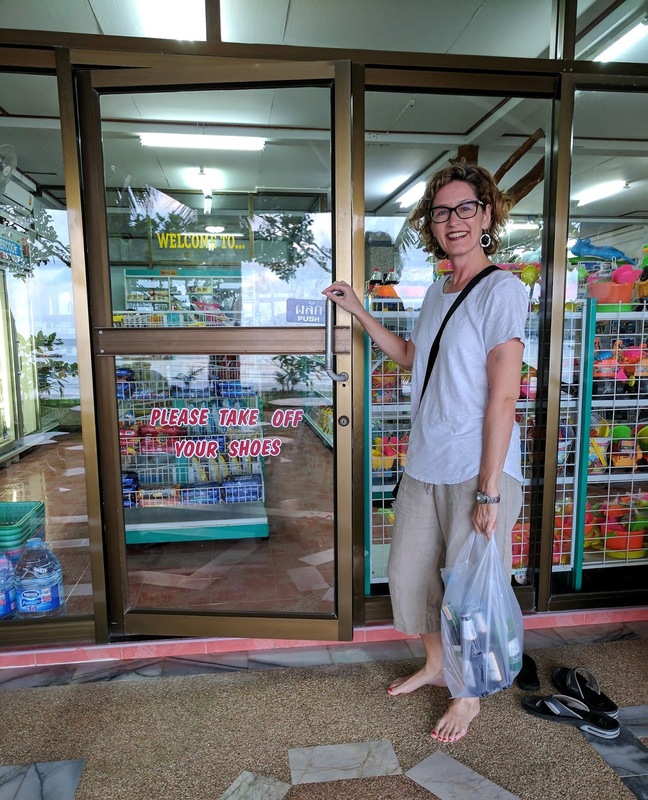 Even when there is no sign, it is perfectly acceptable to enter an establishment, especially when entering directly from the beach, without shoes on your feet. I simply love this! Sitting at the Flip Flop Pharmacy Bar, indoors. It's surprising difficult taking not-totally-weird photos of your feet! The one downside to this lovely custom is that it is a little weird using public restroom with no protective barrier between your feet and the floor. I know that most (if not all) of you reading this are now completely grossed out. Ha But the restrooms do tend to be quite clean. So there's that.